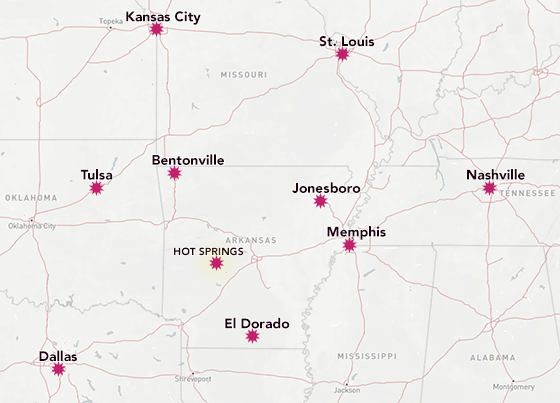 When it comes to planning a wedding in Arkansas, Hot Springs is an ideal destination. Not only does it boast lush gardens, sparkling lakes and scenic mountains, its central location in the state makes it just a short drive from anywhere in Arkansas. Plus, it’s an intimate, charming city where you’ll find historic buildings and unique attractions around every corner. Bride Cyndi Durham chose Kelly Efird Flower Events to create luxe décor for her Hot Springs I dos. Who doesn’t love a good destination wedding? With all the people you love in a brand new place, out-of-town weddings seem to possess a special element of charm. Now imagine having all that magic in your own backyard — sort of. Hot Springs is an ideal destination wedding location. Not only does it boast lush gardens, sparkling lakes and scenic mountains, but also provides an intimate, charming city where you’ll find historic buildings and unique attractions around every corner. Plus, its central location makes it just short drive from anywhere in Arkansas. Hot Springs may be a relatively small town, but that works in a bride’s favor. The abundance of easily accessible vendors makes this city a one-stop-shop and your wedding as stress-free as possible. 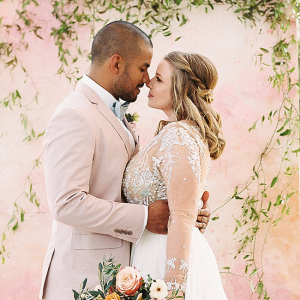 “My favorite part about being a wedding planner in Hot Springs is working with such a tight-knit community of vendors,” says Randi Slick, owner of Signature Events. Not only is meeting with your vendors more like visiting neighbors, but with various venues so close by, your combination of rehearsal, ceremony and reception spots is virtually endless. It also makes things like cake and floral deliveries a breeze. 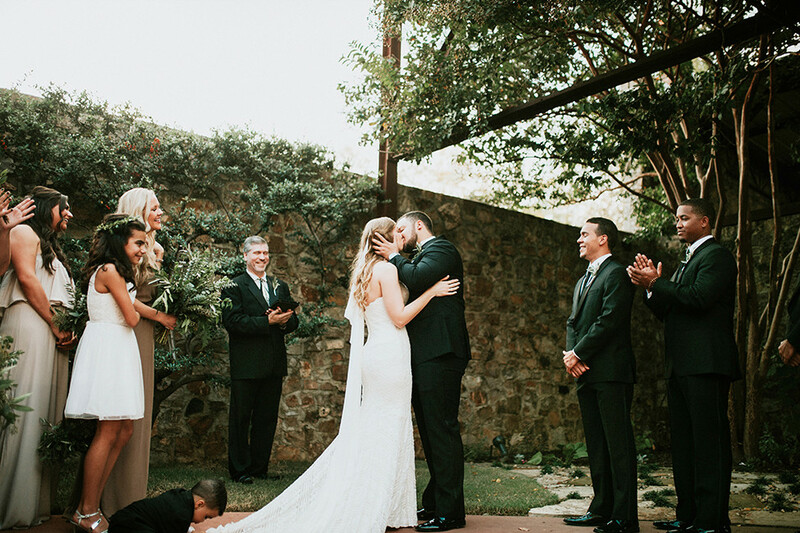 Brittany Rodriguez was looking for a clean, earthy and industrial vibe for her wedding. She took inspiration from the Hamp Williams Building with its metal, stone and exposed brick. You can find everything you need for your big day in the Spa City. 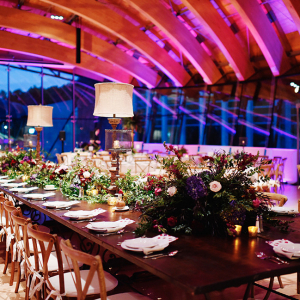 From florals to catering, the city’s reputable professionals have you covered. Build your reception menu with sweets from Ambrosia Bakery and Taste of Eden Bakery. For the main course, choose from a long list of caterers like All About Catering, Catering Temptations, Black Swan Tea, Taco Mama, Rolando’s Nuevo Latino Restaurante and Special Touch Catering. 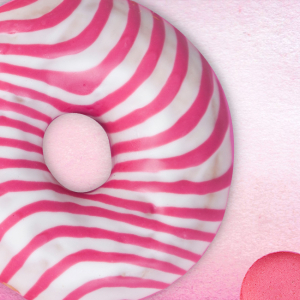 For dessert, fill your day with sweets from and Taste of Eden bakeries. You can’t get hitched in Hot Springs, or anywhere else for that matter, without the proper paperwork. Here are the basics you need to know for obtaining a marriage license in Hot Springs. • 18 years or older: You’ll need a photo ID and Social Security number. No waiting period. • For those younger than 18, you’ll need parental consent, a birth certificate, Social Security card and valid photo ID. Five day waiting period applies. • Marriage licenses cost $60, cash only! No checks or credit cards. • License is only valid for 60 days. Visit the Garland County Courthouse, call (501) 662-3610 or visit GarCoClerk.com for more info. Wedding décor is a breeze with Flowers & Home, who has more than 85 years of combined floral experience. 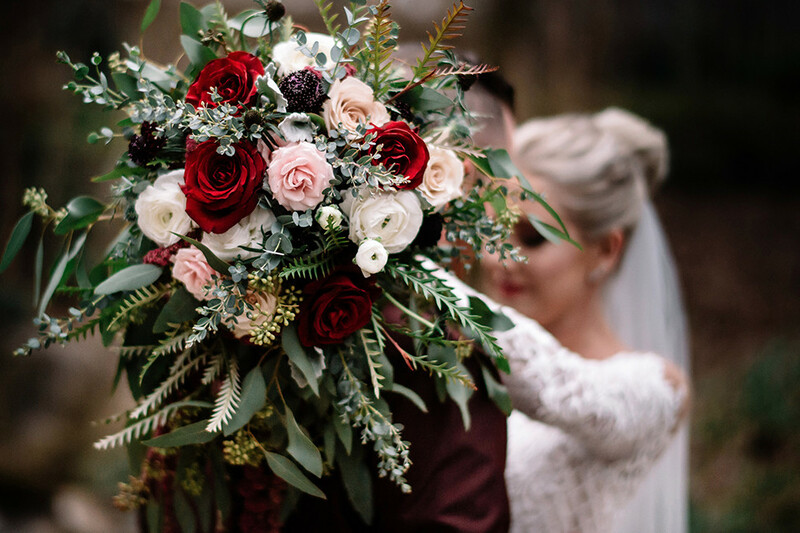 Kelly Efird of Kelly Efird Flower Events has more than 30 years of experience, having worked in her family’s local flower shop for two decades before starting her own. Another beloved Hot Springs florist is Flowers & Home, a company known for elegant floral décor. Whether you’re looking for a waterfront view for your I dos or a lavish ballroom fit for a queen, you’ll find it here. Probably the most well-known venue in Hot Springs is the Anthony Chapel, part of the 210-acre Garvan Woodland Gardens. With elegant floor-to-ceiling glass walls surrounded by the lush, verdant gardens, it’s not hard to see why. Nearby is the jewel of Lake Ouachita: Mountain Harbor Resort & Spa. This unique resort offers wedding parties and guests all the fun and glamour of a destination event without leaving the familiar behind. The Homestead at Williamson Estate is a popular venue known for its versatility; the estate boasts indoor and outdoor space and luxe amenities. Windmill Ranch is one of Hot Springs’ newest venues; its barn is located on a beautiful 300-acre farm. For couples searching for indoor wedding spaces, be sure to check out the city’s many chapels, churches and ballrooms to find your perfect match. Or, try something different such as the historic Hamp Williams Building for its urban, industrial vibe. The Warehouse is also a unique historic venue brides love. • 1,635 estimated weddings in Hot Springs in 2017 via The Wedding Report. • $17,207 average Spa City wedding budget in 2017 according to The Wedding Report. The most prominent and historic venue in town is the Arlington Resort Hotel & Spa. This striking spot is a popular venue for rehearsal dinners, weddings and receptions. The The Arlington Crystal Ballroom, Magnolia Room and Fountain Room drip with 1920s glamour. Two unique venues that share the romantic setting of Hot Springs’ historic district are Rolando’s Restaurante & Speakeasy and The Porterhouse, both perfect locations for a rehearsal dinner. The Old Mill Chapel & Reception Hall, The Hot Springs Event Center, The Centre at Hot Springs, The Barn at Glazypeau Farms, 501 Prime and Ausley Family Farms—these are among Hot Springs’ top venues. In a town nicknamed the Spa City, you’d be remiss not to have a day (or even a weekend) of rest and relaxation. Brides who wed in Hot Springs quickly find the experience is a lot less stressful with a masseuse. Two of North America’s top 100 spas are in Hot Springs, including the spa at the Arlington hotel and Mountain Harbor resort’s Turtle Cove Spa, which was named 2017’s “Best Spa in Arkansas” and one of the top 20 spas in North America by Spa Finder magazine. When it’s time to get all dolled up for the big day, the beauty experts at Glam Girl Hair & Makeup by Julie will transform you with full-service hair and makeup. Her team specializes in on-location and day-of beauty services. 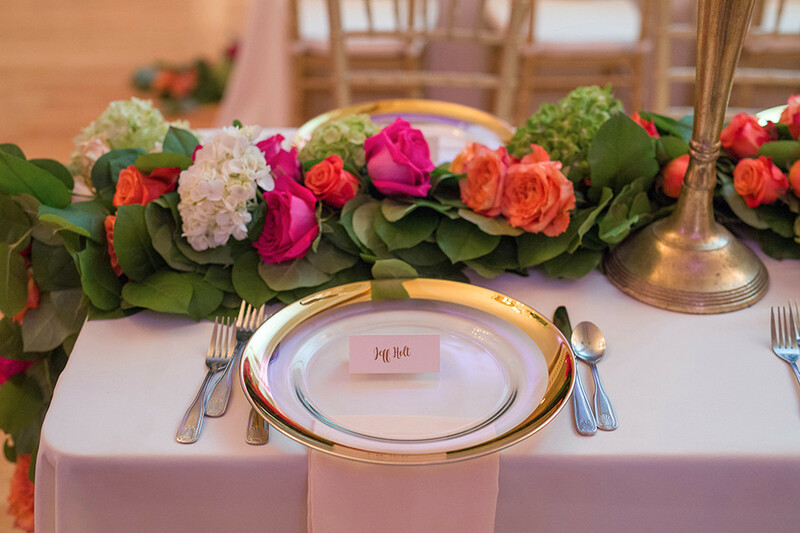 Randi Slick of Signature Events and the Flowers & Home team make dreams a reality with stunning tablescapes. No matter what dreams you have for your wedding, you will find the right people and places in the Spa City to make them a reality. From invitations and calligraphy (Hot Springs’ own Lily Calligraphy Co. is fab!) 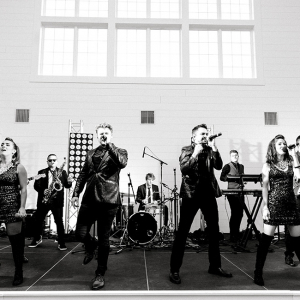 to rentals and music (check out Elite Mobile Entertainment and Music by Aaron Balentine), you’ll love hosting your wedding in Hot Springs. Find out more with our list of preferred Arkansas Bride vendors at The Best Vendors and Venues in Spa City. Hot Springs is only a stone’s throw away from bigger cities, making it the perfect destination for your wedding.